The Gold Coast is known for its high-rise buildings, incredible beaches, lively nightlife and world-class shopping opportunities. With so much going on, it’s difficult to find spare storage space to simply store some of your unused yet valuable items. Got a car, boat, caravan or just household furniture that you are looking to store? Spacer is the online marketplace for self-storage space, and we have spaces available on the Gold Coast and in surrounding areas of south-east Queensland. After the establishment of the Surfer's Paradise Hotel, the city of Gold Coast slowly grew to become one of Australia’s most populous city. Due to its surfing beaches, theme parks, nightlife, high-rise skylines and its rainforests, the Gold Coast has become a major tourist destination. It has also become the centre of Australia’s entertainment industry, offering many opportunities for local and international talent. There really is no shortage of things to do and enjoy in this city. There are plenty of activities to enjoy at the Gold Coast. Kids can enjoy the beach or the theme parks while adults can enjoy the nature adventures and the nightlife, which draw thousands of people to this location every year. This region has about 70 kilometers of uninterrupted coastline, and its sunny subtropical climate makes it a true favourite spot for beach goers and surfers. Bordering one of the world’s best-known surfing beaches -- the Duranbah Beach -- it also encompasses the following beaches: Surfer's Paradise, the Broadbeach, Mermaid Beach, Nobby Beach, Main Beach, Palm Beach and Tallebudgera Beach. 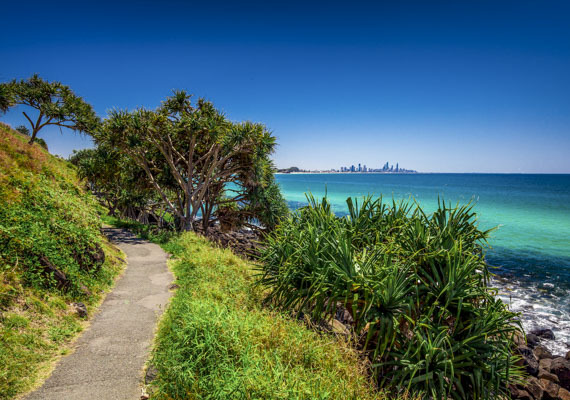 It also boasts a number of inland beaches such as: Southport, Budds Beach, Paradise Port, Currumbin Alley, Marine Stadium, Jacob's Well, Evandale Lake, Boykambil, Harley Park Labrador, Tallebudgera Estuary, Santa Barbara and Jabiru Island. It's a no brainer why the Gold Coast is one of Australia's most popular tourist destinations. For those who are not beach lovers by nature, this city can also offer a lot of other nature-related activities. 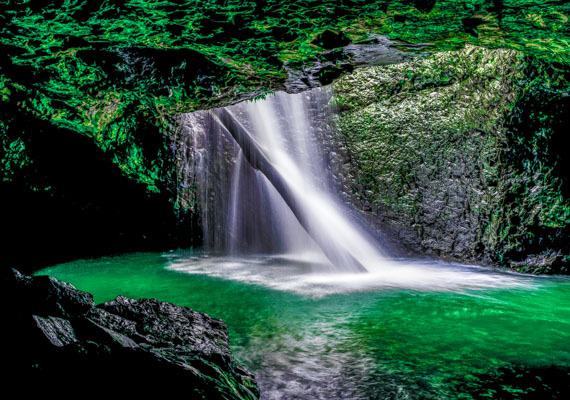 Aside from enjoying the blue of the ocean, you can also go green at the Tamborine Rainforest. Experience the Skywalk; O'Reilly's Tree Top Walk; Tamborine Mountain Glow Worm Cave; visit Curtis Falls; climb Mount Bithongabel; ride a bike through Gold Coast Oceanway; take a walk at John Laws, Lamington or Apple Tree Park; spend a day at Nerang National Park and State Forest; or just spend a relaxing and quiet time at the Pine Ridge Conservation Park. Parallel to the Gold Coast’s growing population is the growing demand for space in the city. This has made it more difficult for people to find storage units in Gold Coast, a problem that we at Spacer can help you with. For people looking for cheap storage in Gold Coast, choose from a vast selection of parking spaces -- from local garages, undercover parking, underground parking, driveways, and car spaces to a secure backyard. Our variety of options caters to many needs, connecting locals who have a little extra space with those who need it. At Spacer, we provide hosts looking to lease their available storage space a platform to make extra money. We also give renters the chance to save money and time by finding a safe self storage space in their area. If you have a driveway, garage, attic, bedroom, shed, or backyard that is available for lease in the Gold Coast, contact Spacer today. You decide on prices and availability. You make the rules and you are in control. We offer a quick and convenient way for you to rent your space, and to earn extra money while renters can enjoy the peace of mind in knowing that their valuables are safe and within close proximity.